In March, Senators Bob Casey and Pat Toomey announced that the Trump Administration had approved a $12 Million TIGER grant for the Christian to Crescent Connector. 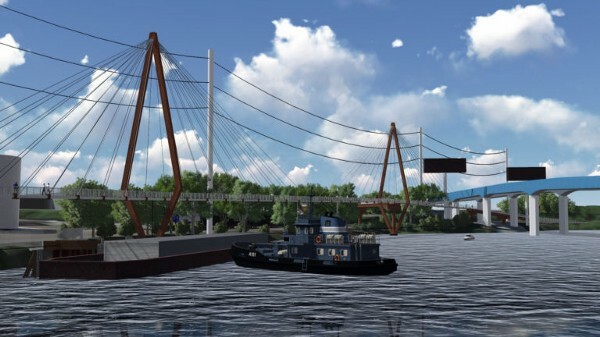 This bridge-like structure that will hug the eastern side of the Schuylkill River and connect the Schuylkill Banks trail that currently ends in the vicinity of Christian Street all the way to the Gray’s Ferry Crescent trail and park. 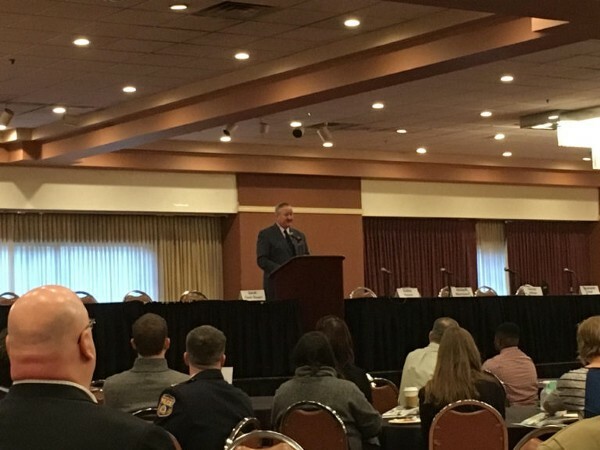 Mayor Jim Kenney made news at the 2018 Vision Zero Philadelphia Conference on Saturday morning, when he announced a new bike lane pilot project through JFK and Market Streets in Center City, Philadelphia. The Bicycle Coalition of Greater Philadelphia had long advocated for these bike lanes, noting they will not only help cyclists commute to their jobs, school, or wherever they need to go in Center City, but will also help calm traffic. Market Street in Center City is along Philadelphia’s high-injury network, and has long needed calming. The protected bike lane will help make the street safer by slowing down motor vehicles and shortening pedestrian crossing distances across Market and JFK. The Bicycle Coalition advocated for these lanes for a long time. We put out surveys, spoken to pedestrians and drivers, led protests, met with politicians and other officials, and written about it, over and over again. JFK and Market are part of the Bicycle Coalition’s Hub and Spoke campaign, too. 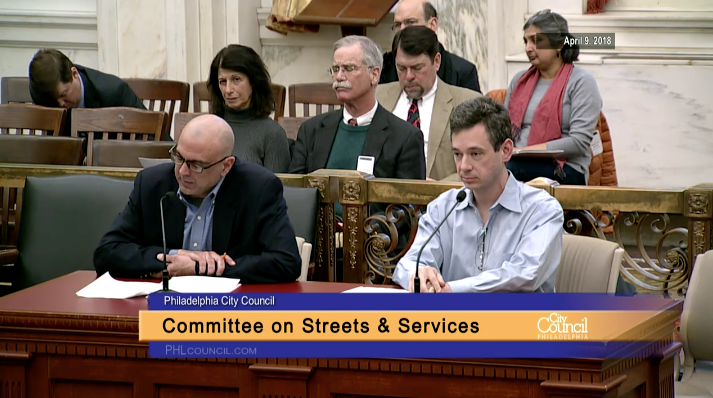 During a meeting of the Streets and Services Committee in Philadelphia City Council, Bicycle Coalition policy coordinator Bob Previdi spoke in favor of bills which would create new bike lanes on Lansdowne Drive and Parkside Avenue in West Philadelphia, and Race Street in the Callowhill section of the city. We have written about all these bills in the past. Here is PlanPhilly’s story about the Lansdowne lane. The sponsor of the bills to create new lanes on Parkside and Lansdowne in West Philadelphia, Councilman Curtis Jones, Jr., noted he recently rode his bicycle on Parkside Avenue and understood the need for better protection on that stretch of road.